I stumbled upon a great podcast that gave me an alternative to New Year’s Resolutions, similar to the Elle Woods snap cup. It’s called “Rememberlutions!” Get a jar or cup and decorate it (or not). Write down significant memories or accomplishments on a slip of paper and store them in the jar. At the end of the year pull out the slips of paper to review. Doesn’t that sound like an uplifting and celebratory practice, as opposed to the depressing and grueling New Year’s Resolutions, which don’t work? 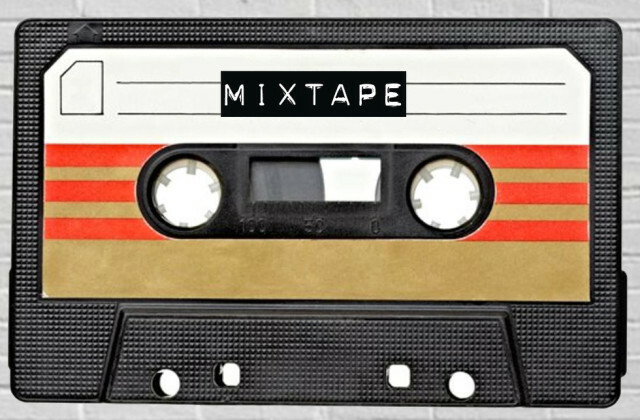 With the spirit of Rememberlutions in mind, I’d like to offer up a mixtape of the worship songs that were significant and memorable to me in 2015. I wanted to present it to you in mixtape form, different than a critical analysis, in that I’m being authentic and personal about my most beloved songs. It’s coming from somewhat of a vulnerable place, and I’m sharing them with you like I would a trusted friend or a romantic crush. I also offer up explanations of why each song is important to me, true to any mix tape. Some of the songs were discovered by looking on some of your set lists. Some were tied to a national conference or event (I did my fair share this year). Some I just plain loved because I felt God revealing more of Himself to me through them. As much as I loved these songs, I hope for 2016 to be a year of discovering even more ways of worshiping and experiencing the Lord from different parts of the Kingdom, and I hope to absorb these songs into my heart. I know that I’ve left off many songs that were from different traditions and cultures. I just realized that most are sung by men. Perhaps I can add more learning moments to my Rememberlutions jar this upcoming year, and next year’s mixtape will be more expansive. Unstoppable Love (Live) 2015 – Kim Walker-Smith (Jesus Culture); Rock/Pop. I stumbled upon this song this year as we were preparing for Lent. It’s such a powerful song, and I love the words. I love the fact that God pursues us to no end, and there’s nothing we can do to change that. This is what Jesus did for us on the cross. I recently discovered this song while checking out worship at my friend Rudy’s Church in Houston via Periscope. This is a great worship song with amazing lyrics! I love the language about how we march together in unity in God’s shalom… such a great song that’s relevant with all the division that exists in our communities today. It lays out a vision of walking together as equals in His favor and grace. This I Believe 2014- Hillsong; Post-Rock. Sometimes I lecture in the worship class at the Duke Divinity School, and my professor friend Lester Ruth always points out how few songs there are that point out the entire Trinity (God, Jesus, Holy Spirit). He’s even pointed out that most contemporary Christian songs are very focused on Jesus, and not enough on God or the Holy Spirit. Enter “This I believe (The Creed)”! I love that it’s set to the Apostles’ Creed, but in a refreshing new way. We did this one at The Justice Conference, and several people really resonated with it. Let Praises Rise 2012 – Trey McLaughlin cover of ORU; CCM/Pop. The video from this cover version went viral on Facebook, and one of my CityWell music team members shared it with me specifically. I was hooked at the amazing way the voices carried this song, and it really spoke to my heart. Musically, I was completely tickled by the fact that at the end of the song the voices were completely carried by an electric bass. Spiritually, I found the lyrics and harmonies to be swimming in God’s love and oneness with Him. It’s a captivating video, and I hope they record it some time. God Has the Last Say 2015 – Cannan Community Church; Gospel. My friend Jonathan Brooks is the pastor of this church, located in the Englewood neighborhood of Chicago. A congregation member wrote this song after one of his sermons, and they recorded and released an album called “Recommend Jesus.” When we did this at CCDA, it literally felt like a magnificent dish that someone would bring to a family potluck dinner, and we celebrated the creativity of this community. Nothing is too hard to overcome, because God has the last say. Amen! Creo En Ti 2013 – Julio Meglar; CCM (Spanish). This song is so special to me, as the words say, “I believe in You, and what You do in me… Receive all the glory and honor, precious God.” Not only is it fairly easy to sing and pronounce, it’s extremely profound and deep. We gave it plenty of play at my church, especially when an unexpected theology rockstar showed up on a special day, and just about any other retreat or conference I was at this year. The Anthem 2013- Travis Greene cover of Planetshakers; CCM Pop. I absolutely love this arrangement of this song. Instead of a slow build to an anthemic climax like the Planetshakers version, it starts off completely energetic, plus the chord progressions are more interesting. This song is just what the title suggests, an anthem, of what Jesus did for us on the cross. It would be perfect for Easter. We did this arrangement at The Justice Conference. Hay Libertad 2014 – Art Aguilera; Rock (Spanish). This song is ROCKIN’. It’s an anthemic song that is full of power. The lyrics translate “There is freedom in the house of the Lord” and our congregation felt free as they sang, danced, and jumped around. One Wild Life 2015 – Gungor; modern pop. This song also wants to make me dance, in a different way. Musically, I like the variety and the use of synths. I like the pop beat. The lyrics say, “These are the days we’ve been given, what will you do with each of them? What will you do with your one wild life?” It makes you wonder about your days on earth and how you spend them, but against the backdrop of a pop beat you can’t help but feel wild and free and inspired to take advantage of the gifts that God has given you. Withholding Nothing 2013 – William McDowell; CCM Gospel. This song has the same effect that “I Give Myself Away” has on a worshiper – it makes you go deeper into worship each time the phrases are repeated, until you’ve left it all at the altar. You could repeat the words “Withholding Nothing” over and over again, and each time go deeper and deeper into letting go of the things you hold so tightly onto in this world. William McDowell is so talented at writing songs like this. My Shepherd (Psalm 23) 2015 – Menders; original extremely rough cut recording on a last day of a retreat. Enkaiyai Danieli – song from the Masai tribe in Africa; (Masai). This is such a simple but true song that has two lines, “The God of Daniel/Is the One true God.” I learned this from Jonathan Brooks and we led worship at CCDA using percussion hand instruments. You can substitute any name for “Daniel.” We’ve sung this quite a bit at my church as a gathering song. Access Angie’s MixTape of the Top 10 Worship Songs of 2015 on YouTube and Spotify. I love “This I Believe”, but haven’t got around to using it at church yet. The Gungor song is great. Probably would not use it congregationally though – have you? The new Jesus Culture album, “Let It Echo” has some great songs on it.